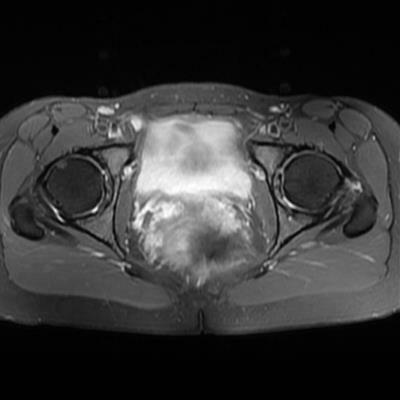 A 25-year-old male athlete with groin pain. 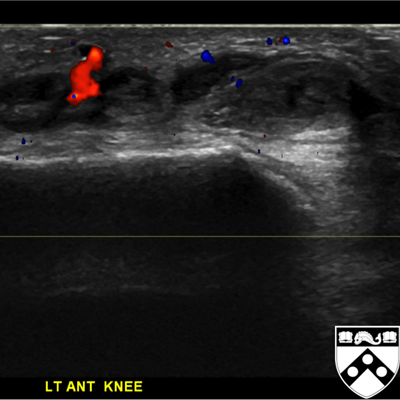 A 14-year-old boy with left knee pain following a sports-related injury. 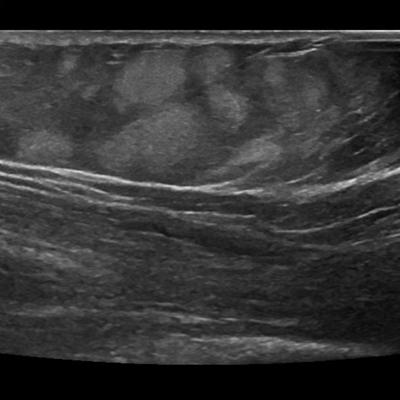 A 66-year-old woman with left-sided flank pain for the past several months. 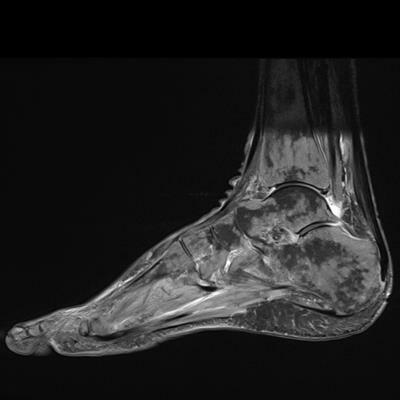 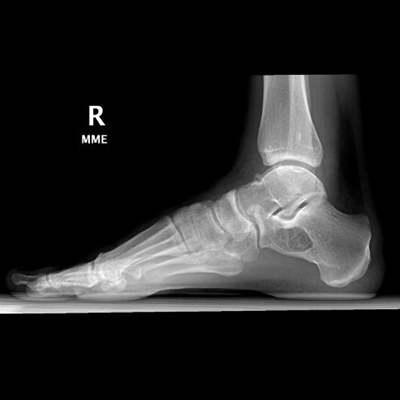 A 31-year-old man with bilateral foot pain, right greater than left. 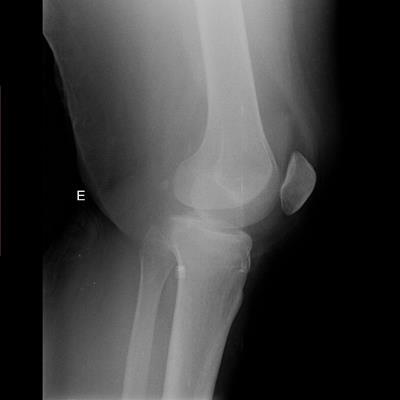 A 20-year-old woman with severe pain in the left knee after a trauma. 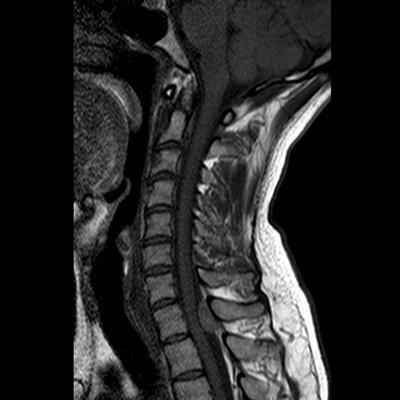 A 37-year-old man undergoing evaluation of cervical pain. 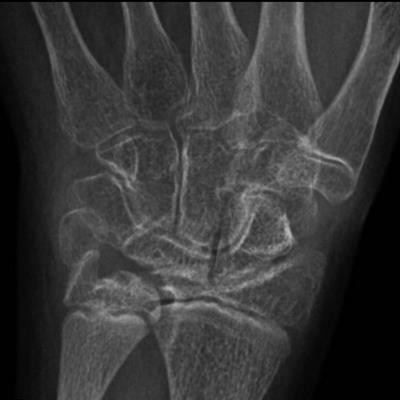 A 13-year-old boy with pain and stiffness of the wrists and hands. 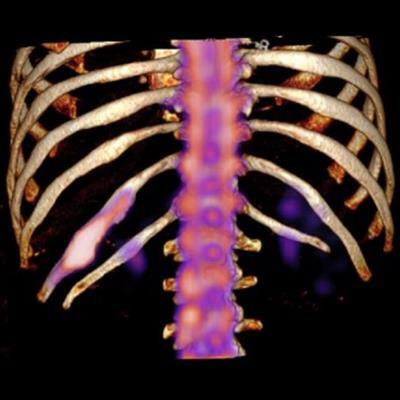 Patient undergoing a PET/CT scan for a pulmonary nodule. 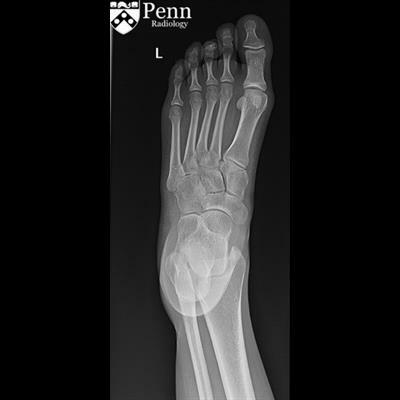 A 23-year-old woman with midfoot pain after a motor vehicle collision. 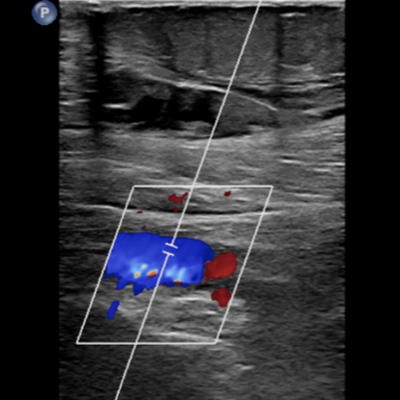 Baby with abnormal physical exam. 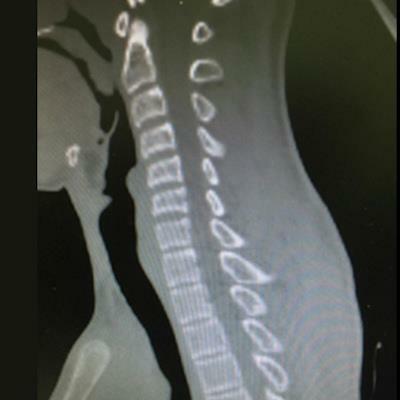 A 20-year-old man with quadriplegia and urinary incontinence after car accident. 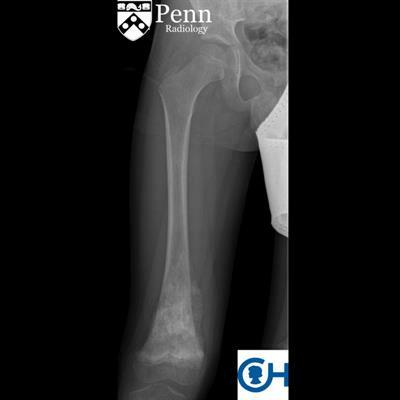 A 5-year-old boy with thigh pain and swelling. 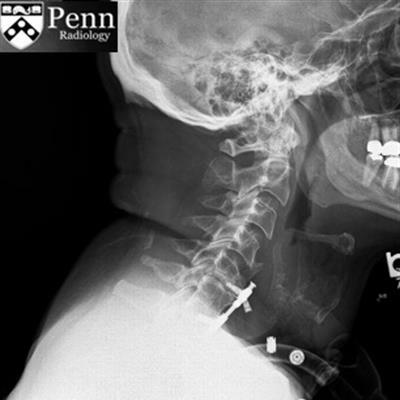 A 62-year-old man with a history of dysphagia, fevers, and recent emergent tracheostomy insertion. 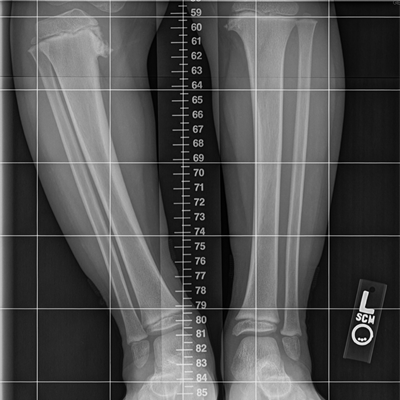 A 4-year-old girl with worsening leg bowing and in-toeing gait. 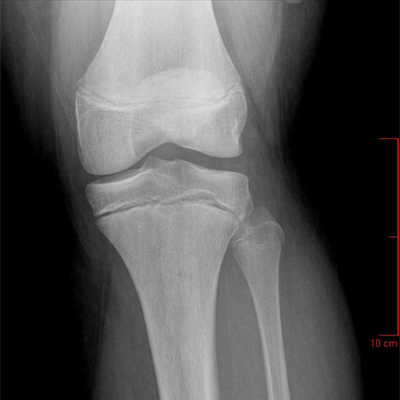 A 52-year-old man with left knee pain that is worse when walking up stairs. 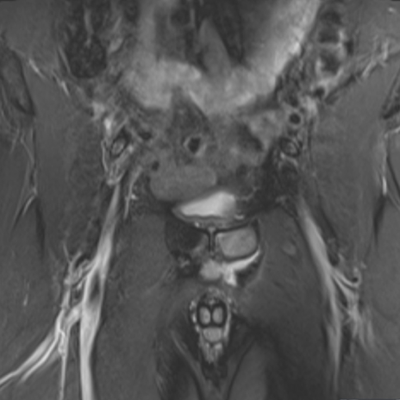 A 59-year-old woman with worsening bilateral hip pain.